Stoneware and porcelain with glaze. Collection of M/M E.A. Bergman. Collection of Museum of Contemporary Art, Chicago; Gift of M/M E.A. Bergman, 1983. 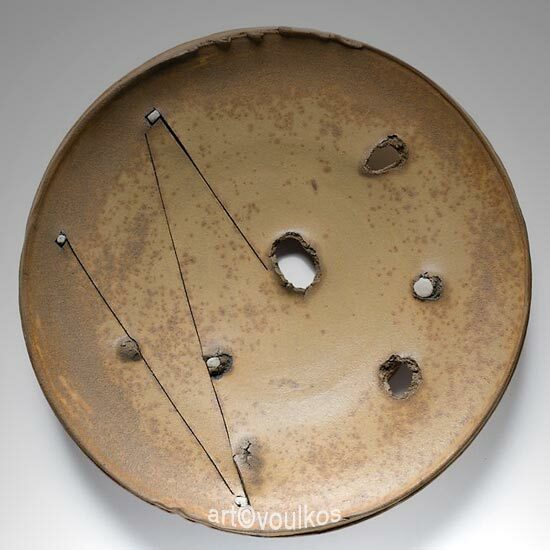 Exhibit A, Evanston, Illinois, Peter Voulkos: Clay Drawings and Vessels, 29 February-25 March 1976. Museum of Contemporary Art, Chicago, American Crafts ’76: An Aesthetic View, 26 June-5 September 1976, Catalogue, ill. p. 36.